If you go over crime rates of the past few years, India hasn’t quite been the safest place for its citizens. 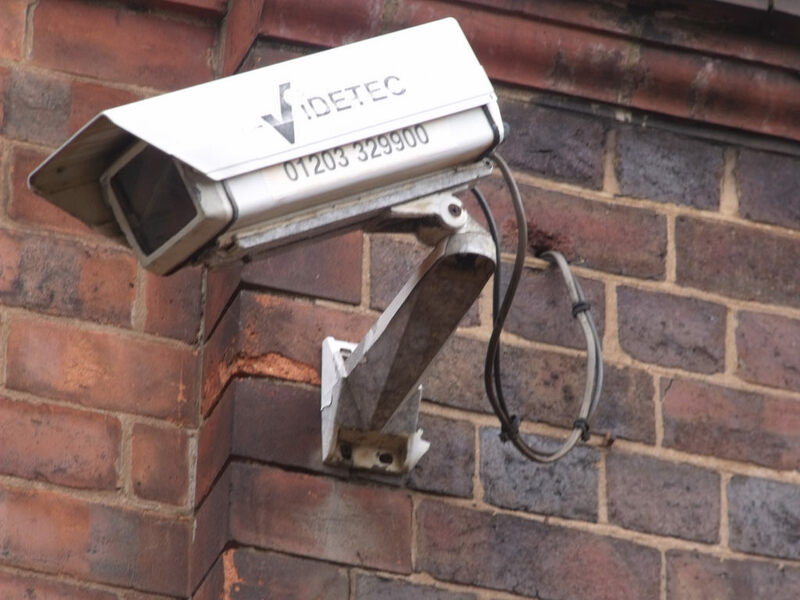 Instances, particularly those relating to thefts, burglary and breach of security systems, have seen a steep rise in recent years. In fact, most of the thefts and robberies took place in apartment complexes, which already had a number of security guards manning the gates. Talking about robberies and thefts, a few occurrences, like the ones in Greater Noida and Mumbai come to mind, both of which took place in well-guarded apartment buildings. These issues also received wide media coverage from popular news agencies, like The Times Of India. In Gaur City housing society, one of the sprawling complexes of Noida, over 15 apartments were ransacked by miscreants when the owners were, either out for work or had gone shopping. The criminals made away with a sizable sum of jewellery and cash. In another incident in Mumbai, in a posh Vesu area apartment, a theft of Rs.35 lakh in cash had taken place at the residence of a textile processing unit owner. Indian citizens have seen a fair share of strangers follow them home. However, this particular incident took things to the next level. It was a humid Friday night, and a 20-something woman stepped out of her house to wait for a cab. While she was waiting, a 6-foot man appeared from a crossroad. After surveying the area for a brief time, he just picked the woman up and carried her away, while she kicked and screamed for help. If her housing complex had an efficient security system, such an incident could have been easily avoided. Senior citizens usually go out for walks around their residential campus after their dinner, to help their metabolism. Chain snatchers take advantage of such situations. They grab their jewellery and make a run for it. Elder people cannot be expected to run after them, since they, sometimes, use motorcycles during these episodes. Having good security means that miscreants will be kept out of housing societies, providing the dwellers a safe place to carry on their regular activities. These are just few real-life security incidents faced by a majority of people in India. To tackle such cases, having an efficient security system like the Gatekeeper app, from ApnaComplex, can help keep your housing society safe. Apartment security has become a major concern in the country, especially in urban India. NCRB has stated that there has been a drastic rise in robbery and burglary cases in the past few years in Indian cities. Keeping this in mind, nowadays, many people have beefed up the security systems at their house. Without having a robust security system in place, your house becomes an easy target for criminals. This article will guide you on why and how to choose some of the modern day security equipment. This is the most common type of security system one would come across. Access control includes doors, gates, windows, fences and common area lighting. Due to the presence of 24 x 7 security officers, access control barriers are what residents prefer when it comes to apartment security. Considered as one of the best security measures, Card Access Systems provide the best technology to access locked doors and gates. If your residential apartment is a part of a newly constructed building, then opting for this type of security is the better than any traditional security measure. This is because it offers top notch security management, without burning a hole in your pocket. 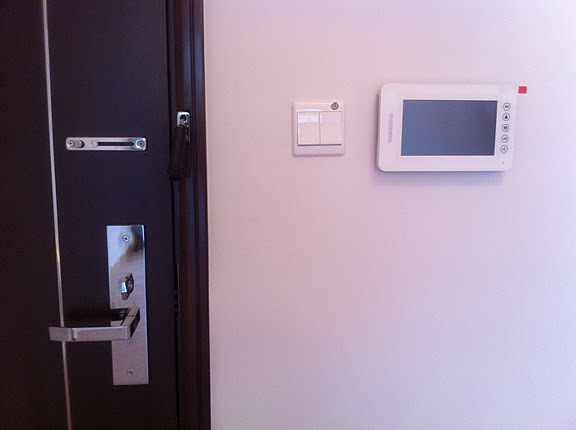 Access cards use specially programmed software to record date, time, and location of every entryway. For instance, access cards can store information of residents and visitors who enter and exit the building, spa, gym or parking lot. All these features make card access systems worth installing. If you install Key Control System at your residence, it will not only be an efficient guardian to your home, but will also prove to be a pocket friendly deal. The best feature of key control systems is that if the access card is damaged, lost, or the resident moves out, the card details can be deleted from the server just with a few keystrokes. Owners of multi-storied residential properties will prefer this system more. This is because advanced key control systems can safely store the codes of each and every person using it, and can be password protected on all floors. Apart from using a safety system, you can also make use of Gatekeeper, a simple app that allows you to monitor visitors and store their information. It is easy to use, which means your security guards will have a more efficient system of maintaining security. The requirements of apartment security are based on two factors: properties at risk and threats to those properties. If we look at India’s apartment security system of the past few decades, it was largely constituted of security guards manning residential apartments, colonies, and localities. But with the advent of modern technology, things have grown by leaps and bounds. In this article, we’ll take a look at the evolution of apartment security over the years and how it developed into an advanced system that we witness today. In the early 1700s, English inventor Tildesley created the first-ever ‘calling bell’. This device was equipped with set of chimes that were mechanically connected to the door lock. So whenever someone tried to open the door, the alarm rang and alerted the residents. Shortly after this invention, came in the ‘level tumbler lock system’ aka the modern day lock and key system. Home security systems kept on advancing and evolving throughout the 18th and the 19th century. Many inventions and innovations pertaining to home security were carried out throughout this period. But after the advent of the computer and the Internet, things took a drastic turn for good. Let’s take a look at the revolutionary advancements made in this field, especially post-1990. By the 90s, the cost of apartment security systems went down and they became more affordable. The burglar alarm system evolved to a whole new level during this era. Also, the motion sensor technology was improved in the 90s, and used infrared technology to avoid false positives. Besides, there were professional security companies that installed these safety measures in homes. But after the year 2000, with modern and powerful computers being used to control home security systems, things never remained the same. Wireless technology acted as a catalyst to this. Presently, people can monitor their homes through smartphones and can receive alerts on it. There are many apps like the Gatekeeper app, which can be used to track visitors entering apartment complexes. Just like humans have evolved over the years, home security has too. And you will be spoilt for choice when you go about looking for a home security system. However, you must choose one that is efficient and meets your personal security requirements. With the rise in robbery and burglary cases in urban India, protecting homes from being attacked has become a priority for city dwellers. Since the police is finding it tough to keep these incidents at bay, it has somehow become the responsibility of the citizens to protect their homes, or install an apartment security system. Recently, in Bangalore, a group of robbers barged into an elderly woman’s house at wee hours and not only stole all the valuables present in the house, but also brutally killed her. This horrific incident took place in the first week of June 2016 and the police are yet to find the culprits. To counter this, the markets these days are flooded with modern and hi-tech security devices. You’ll come across many types of equipment like burglar alarm systems, access control systems, and surveillance cameras. This article will guide you on how to choose a security system for your house, if you’re a novice in this field. An apartment security system protects your house against external threats through the use of technology. There are many parts in a security system but one thing that is standard among all equipment is the keypad. 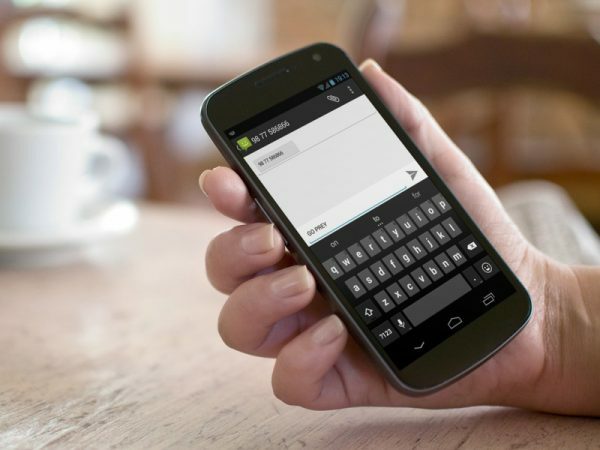 This keypad helps in activating and deactivating the system. They are also available in different styles as per your requirements like touch screen and keyless. Other than the keypad, you’ll also be required to consider sensors and motion detectors. Many of the security systems come with the facility of strategically placing these sensors and detectors at doors, windows and common rooms. Once turned on, these sophisticated devices can easily detect activities and movements of unauthorised people entering the house. As modern technology is advancing, you’ll be required to consider many factors before you zero in on a security system for your house, and a lot of it depends on your requirements (why you’d like to have a security cover installed). Prepare a list of priorities, assess them and see which equipment fits your need. Also, ensure the systems are working fine and you aren’t facing any technical hassles while utilising. Before you decide to have a security system installed at your home, it is important to check the reputation of the company that is manufacturing the product. If the product is damaged, the company should have a robust service team and a backup facility. After-Sales Services from a company are highly useful. 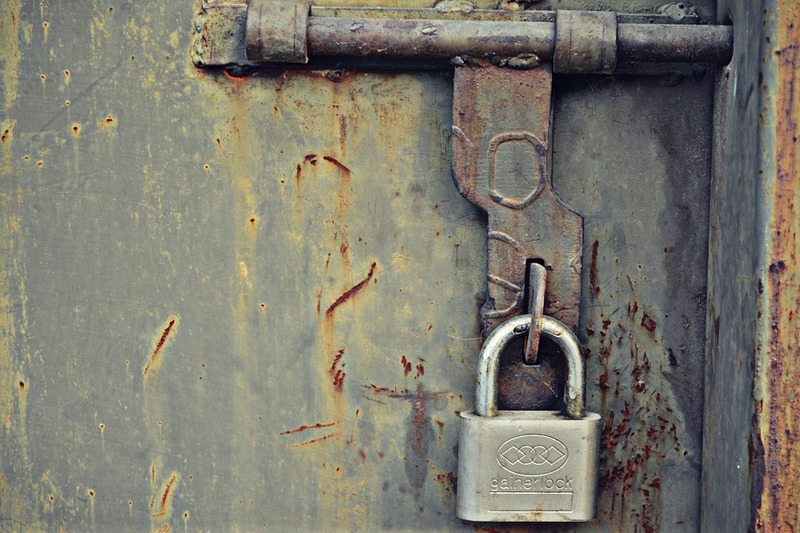 A security app like Gatekeeper is a great idea. 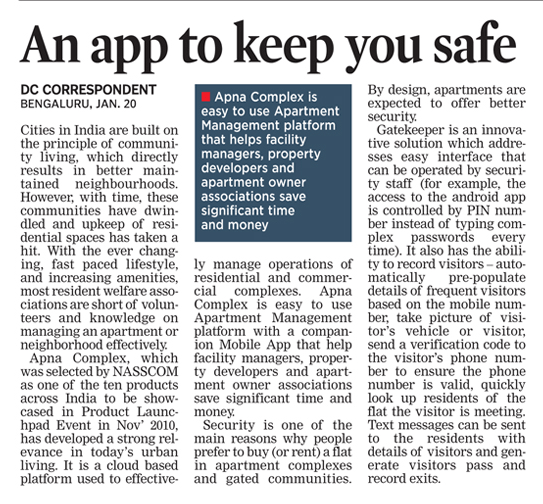 This app has already been successfully adopted by security guards in 100 apartment complexes all across India and is expected to reach out even further. Investing in a security system that doesn’t address your needs is a waste of money and resources. Therefore, make sure that the system you buy satisfies all your requirements. 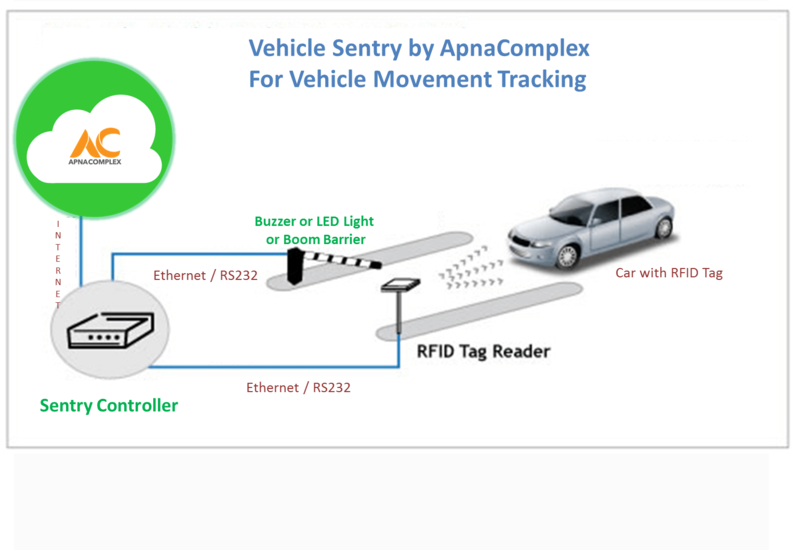 ApnaComplex announces its latest innovation – ‘Vehicle Sentry’ – A RFID based Vehicle Movement Tracking System. Enhance Vehicle security in your Society today! We, at ApnaComplex, are proud to announce the launch of ‘Vehicle Sentry’ – a RFID based Vehicle Movement Tracking System that is fully integrated with the ApnaComplex’s cloud platform, to solve all these above issues and to reduce your worries. What exactly is Vehicle Sentry? Vehicle Sentry is an Vehicle Tracking System that is RFID based and fully integrated with ApnaComplex cloud. At a broad level, Vehicle Sentry includes RFID tags for all authorized vehicles and RFID readers, that are connected to ApnaComplex’s hardware (Sentry Controller) which in turn is connected to ApnaComplex cloud via internet. This mix will ensure that your vehicle security is enhanced in your housing society. These readers are positioned at security gates to detect vehicles with authorized RFID tags and capture the movement. 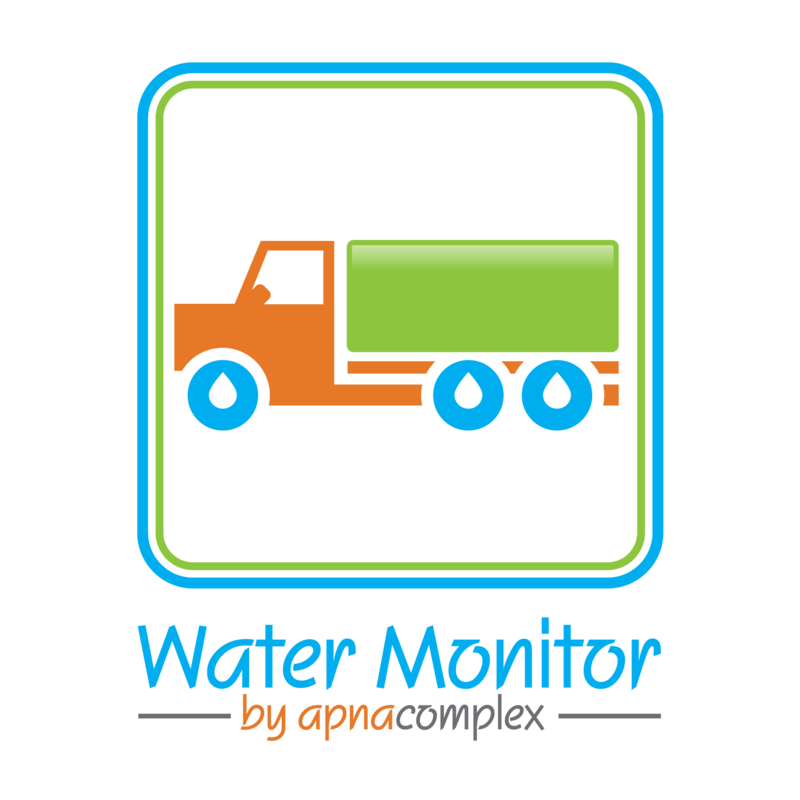 One of the most important features of Vehicle Sentry is that it automatically synchronizes vehicle-related, and other data of your society on the ApnaComplex portal. In addition, the resident also can receive an SMS regarding the movement of their vehicle, in and out of the society premises. How does Vehicle Sentry, the Vehicle Tracking System work? Authorized vehicles are first fitted with RFID tags. Next, RFID readers are installed at the gates, or entrances, and exits of the society campus. These Readers come with ApnaComplex’s own custom hardware called ‘Sentry Controller’ that acts as the gateway between ApnaComplex Cloud and the RFID Readers. Sentry Controller helps sync the vehicle entry, and exit information to the ApnaComplex cloud server in near real-time, and also keeps the reader in sync with tags issued for new vehicles and de-activated tag list. Increased security in your society: Vehicle sticker validation is old news since the movement of every vehicle entering and leaving the campus is now tracked, making it more secure. Unwanted intrusion is avoided with the use of Vehicle Sentry. Easy and quick recording and updating: All the data regarding your flats and vehicles are stored in one database only. Any other RFID solution you implement will force you to maintain separate databases of vehicles and flats, which in turn makes you update the same information at multiple places whenever there is a tenant moving in or out. Vehicle Sentry is an integrated solution to this concern and redundant efforts do not come into the picture. Cost Effective: Extra hardware is unneeded at places where the RFID reader gates are installed. All functionalities are driven from the ApnaComplex portal. Your estate manager can issue and deactivate tags and update the portal, all the while being in the estate office, and the data is synced with the RFID readers at the gate. In addition, you could just deploy the vehicle movement tracking with our boom barrier, making it very cost effective for housing society deployments. The phrase ‘An ounce of prevention is worth a pound of cure‘ couldn’t be stressed upon anymore during the time of Benjamin Franklin than it could be in today’s age of deception. Vehicle Sentry is your best and most genuine bet. How do I get Vehicle Sentry for my society? To know more about Vehicle Sentry and to implement it in your society, kindly submit a sales request at Contact Us page and we will get back to you with the details. This is yet another innovative approach by ApnaComplex to keep your mind free from worry, while providing you with the best services possible. Look forward to the greater safety of your vehicles in your society with Vehicle Sentry! Apartment management is becoming one of the most challenging jobs, with growing sizes of apartment complexes in India. With most of the members offering a voluntary service to their apartment residents as a management committee member, the personal life of an individual gets quite affected in dealing with apartment maintenance issues. Automate Society Billing & Accounting – Financial matter often becomes a bone of contention between committee members. Accounting and book keeping, income and expense tracking, penalty calculation should be streamlined as soon as possible. Try to reduce your reconciliation efforts and try to 100% automate your billing and collection effort. The best option is to employ a software that incorporates tools such as Income Tracking, Penalty Calculation, Maintenance Charges Payment Reminders, Metered Utilities and Payment Gateway offering significant effort reduction without disturbing your current accounting practices and to help you in better apartment management. Resolve Resident Complaints Efficiently – Resident complaint management is one of the toughest areas one has to deal with as a management committee member. Ensure you set up a system as soon as possible for central tracking of resident complaints, suggestions and requests. The whole process of residents filing a complaint and committee members resolving and closing the issue needs to be automated. Use a software that will help you track the complaints at various stages with an auto escalation mechanism to escalate unresolved complaints. This will increase the resident satisfaction and enhance their faith in the management committee. Communicate effectively with your Community – Effective communication with your community is very important. Use community collaboration tools to post notices and reach out to everyone, securely share photos of community events within the society, have healthy discussion on any topic via discussion forums, send important messages/emails to other committee members or residents. Create and publish articles like Policy on Pets, Waste Management Guidelines, Diwali Celebration Tips, and Monthly Newsletter for residents – the list is just endless. For better apartment management, it will be an intelligent move to use a software that offers the facility to use all these communication tools at one go and create a strong communication link with your community. Manage Apartment Facilities & Staff Smartly – Residents often complaint about how the apartment facilities are not maintained well by maintenance staff etc. Save yourself from the pain of manually overlooking asset tracking, inventory management, parking lot management, maintenance staff and service staff management. Offer superior experience to residents by empowering them to book an apartment facility online! Maintain a central record of visitors visiting your apartment for security purposes. 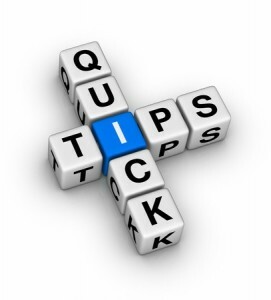 Managing and keeping a check on all the above mentioned areas is a herculean task. What you need is an apartment management software that does it all for you and help you manage all apartment facilities smartly. Proficiently manage society data – Maintain directory of owners, residents and flats in your apartment in a systematic manner for reaching out to them easily. Maintain list of office bearers and committee members for communicating with them in an effective manner. Centralize all your society data in one place for your own convenience. Create an online presence for your complex and provide details such as amenities available, directions, location of the complex to visitors or interested parties outside the complex. It’s time for you to move away from countless number of confusing spreadsheets and remember to become a management committee member you don’t need to learn about accounting and facility management anymore. A good apartment management software can do all that for you. What you need to focus on is creating an inclusive culture so that residents collaborate with you to manage your apartment in a better manner. Don’t just be a complex, be a smart apartment complex. Get your Society on ApnaComplex.com – Today for free!